at Chorus is right for you? Volunteering can be a life-changing experience. We know, because we see it firsthand every day. 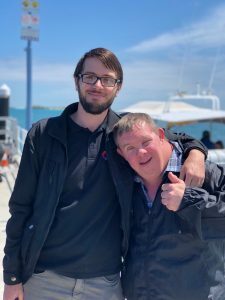 When you volunteer you meet like-minded people, form new friendships that will last a lifetime, challenge yourself, learn new skills and walk just that little bit taller, knowing you’re doing something that makes a huge difference to someone else’s life. he had time on his hands. “Working with the senior community makes my life very fulfilling,” he said. 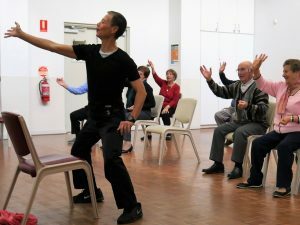 Michael has in-depth knowledge of physical fitness and of martial arts, so he helps promote a healthy lifestyle message at the centre by leading keep fit classes. Michael said he loves working with Chorus staff and volunteers who share the same passion. Further reading: What’s it like being a Chorus volunteer? Chorus volunteers are encouraged to contribute whatever time they have available, from a few hours a fortnight to a maximum of three days a week. All volunteers must pass a National Volunteer Police Check, and if your volunteer role involves driving, a minimum of a C-Class driver’s licence is required. If you’re looking for a volunteering opportunity, Chorus is always looking for new recruits! 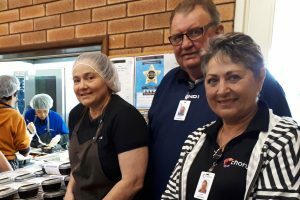 We have eight main types of volunteer roles across our aged-care, disability and mental health services, so there’s something to suit every interest and skill level. Let’s take a look at them. Gardening is a favourite pastime for many of us because gardens bring so much joy to our lives. Volunteering as part of our gardening team shares that joy with others. Our gardening teams depart from our five depots in Safety Bay, Carlisle, North Perth, Midland and Wanneroo. Up to three volunteers go out with one to two members of the Chorus Gardening team, helping customers with the general upkeep of their gardens. Gardening hours are Monday to Friday from 7.15 a.m. to 2.30 p.m. in summer and 7.45 a.m. to 3 p.m. in winter. Anyone aged 12 or older can volunteer, and while you don’t need gardening experience, it’s recommended that you have a basic fitness level to tackle the manual work required. 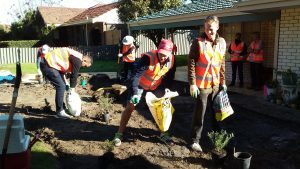 In addition to individual volunteers, gardening is a great option for corporate volunteer groups and student volunteers as well as volunteers who may need a support worker or who have early-onset dementia. Our transportation services help people live independently in their own homes, even if they no longer drive or don’t live near public transport. It’s a vital service for many customers, who we help “pop to the shops”, visit relatives, meet medical appointments or get to our activity centre. Transport volunteers assist individual customers to visit friends or attend appointments, or they may drive a group of customers. Drivers use the Chorus fleet of cars from depots in Carlisle, Melville, Cockburn, Kwinana, Rockingham and Mandurah. Some customers require regular transport, such as weekly visits to the doctor, and others are assisted on an as-needs basis. Volunteers may assist with services up to three times a week between 6 a.m. and 6 p.m., Monday to Friday. People who enjoy driving and having a chat with customers. A good knowledge of the Perth metropolitan area is recommended. If you enjoy cooking and the camaraderie of working in a small but busy team, Chorus Kitchen could be just the place for you! Volunteers work in our kitchen in Palmyra to prepare and package meals, while volunteer drivers deliver Meals on Wheels to customers in the South Metropolitan area. Volunteers can sign up for a regular weekly roster or for relief work. Kitchen hours are 7 a.m. to 11 a.m., while delivery hours are 8.30 a.m. to 11 a.m., Monday to Friday. Our kitchen offers a friendly team environment for those who enjoy cooking and don’t mind early morning starts. If you enjoy driving and don’t mind checking in on customers, too, then you might like to deliver meals. Many Chorus customers like to do their own shopping but need a hand with transportation or carrying heavy bags. Our volunteers help with all aspects of day-to-day shopping, including preparation of shopping lists, transport, navigation around shopping centres, and packing and unloading groceries. Shopping trips can also include visiting clothing and DIY stores, or the hairdresser. Two to three hours weekly or fortnightly between 8 a.m. and 4 p.m., Monday to Friday. Chorus will match you with a customer in your area. Social people will enjoy spending time with customers. A full driver’s licence and comprehensive car insurance is needed. If you like a chat and a cup of tea, then perhaps becoming a home visit volunteer is for you? Home visit volunteers provide one-on-one companionship for people at home who may face loneliness or social isolation, while CVS volunteers visit customers at home or in aged-care facilities. Home visits are on weekdays and once a week or fortnight for up to two hours, while CVS visits can be at a time suitable to you at least once a fortnight. Volunteers are carefully matched to spend time with people with similar interests, shared community links or someone from your own cultural background. CVS volunteers operate only in the South-West Metropolitan area. Our activity centres are a lot of fun! They’re a community hub for customers – a place to gather, meet friends, try new things and indulge in interests and passions. 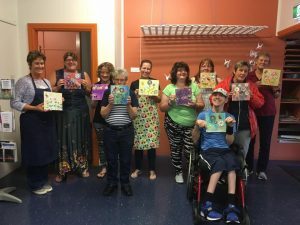 Activity Centres are located in Bull Creek, Mandurah, Rockingham and Kwinana, offering social spaces for seniors, people who live with disability and the multicultural community. Volunteer jobs are available as bus drivers, bus assistants, kitchen assistants and activity assistants. One to two days a week, working from about 8 a.m. to 4 p.m., depending on the activity. Some evening outings may also be required. Anyone who is happy to socialise with customers and who enjoys setting up and helping with social activities. Students looking for work experience, retirees or people with school-aged children are also a good fit for these roles. If you have administration skills, then Chorus would love to hear from you! Our offices are the nerve centre of everything we do – we can’t provide our important services without them. Office work volunteers help with administrative duties, such as filing, data entry or mailouts at one of the Chorus offices. This follows regular office hours from about 9 a.m. to 3 p.m., with volunteers usually working once a week. While not essential, a background in office work is helpful. If you’re an outgoing person who loves being social, becoming a part of our outings team is a fun way to volunteer. Chorus outings can involve a meal or a place of interest, such as morning tea at the beach, a music concert, a Swan River Cruise or lunch at Hillary’s Boat Harbour. Outings occur throughout the metropolitan area, including Mandurah. Outings are usually once a month for three to four hours. If you like socialising and getting involved in community activities, we’d love to have you onboard. For more information about volunteer opportunities at Chorus, email volunteering@chorus.org.au or call 1800 264 268.